City’s Captain Tilmann Gabriel speaks at the Advanced Air Efficiency in a Global Air Transport System (AEGATS) 2016 conference. Captain Tilmann Gabriel, Programme Director of City’s MSc Aviation Programmes in Air Transport Management and Aircraft Maintenance Management spoke at the Advanced Air Efficiency in a Global Air Transport System (AEGATS) conference in Paris, which took place from 12th to 14th April. The conference was centred on future developments in the global air transport system. In his well-received presentation, Captain Gabriel highlighted the significant threat of a shortage within the global commercial aviation industry. 500,000 new pilots and over 500,000 new engineers/technicians are required to fly and service the more than 30,000 aircraft produced by aircraft manufacturers Airbus and Boeing in the next 20 years. The presentation was discussed by several aviation experts and key representatives from aircraft manufacturers and pilot training institutions in the audience. 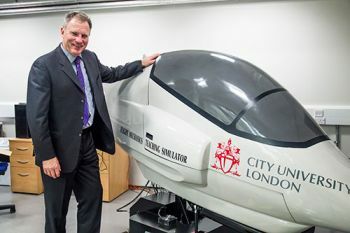 As the Vice Chairman of the International Pilot Training Consortium (IPTC), chaired by the Royal Aeronautical Society (RAeS) Captain Gabriel’s main concern is to keep the piloting profession valuable and interesting. His challenge is more acute in view of a millennial generation who have grown up in gamified learning environments, using computers and gadgets from pre-school age. “The concept of a modern, fully automated cockpit, needs to be critically examined, in light of current and successive generations demanding greater satisfaction from a piloting role than merely bearing silent witness to automation. 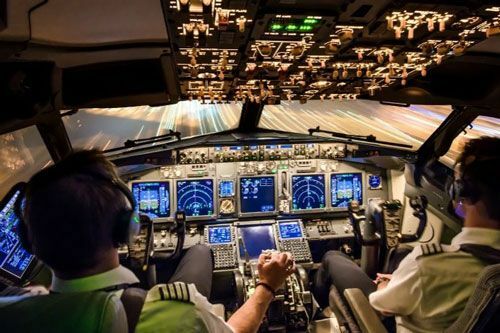 Due to my research interest in this specific field I have zeroed in on the concept of the cockpit as a ‘boring workplace’ - a rather new research area - and the consequences of this in a safety critical environment such as a commercial aircraft. The presentation was discussed among the expert audience which had key representatives from aircraft manufacturers and pilot training organizations.